Short Tour in Nepal with Pink Mountain Treks and Expedition is surely a perfect match for those who are seeking to explore Nepal with limited time period. This short tour Nepal offers sightseeing tour of three major cities of Kathmandu Valley - Kathmandu, Patan and Bhaktapur, Basndipur and Pokhara. The sightseeing tour in the fascinating cities of Kathmandu Valley is combined with a drive to Nagarkot. Nargarkot is a well known view point located about 32 km east of Kathmandu at an altitude of 2200 meters. Nepal Short Tour is an excellent opportunity to acquire in-depth knowledge about Nepal's past history including its rich art and architectural values in a short period of time. 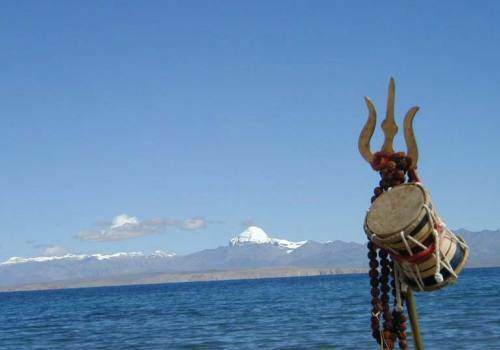 Besides, the tour allows one to learn and experience Nepalese culture, tradition and their way of living. Short Tour in Nepal with Pink Mountain Treks ad Expedition starts and ends at Kathmandu. Kathmandu - the capital city of Nepal has abundance of sites - finest temples and palaces that has huge cultural, traditional and religious significance. Among several sites at Kathmandu city, we will make visit to Hanuman Dhoka (Durbar Square), Pashupatinath Temple, Syambhunath Temple and Boudhanath Stupa. Following morning, we will drive to Bandipur, famous as Queens of the Hills. Roaming around Bandipur like Basantapur hill station and visit to Rampur. Next Morning drive to Pokhara, known as city of lakes and second biggest city of Nepal. Pokhara is also known as miror to see the mountains. We will visit to world peace stupa, Gupteshwor cave, bat cavem bindhyabasini temple, Patale Chhango, Taal Barahi temple and excursion on bank's of Fewa Lake. Next Morniong fly back to Kathmandu then touring to Patan - well known for its Pagoda style temples, stone statues and unique architectures. At Patan we will visit Patan Durbar Square, Krishna Mandir - holy temple built of stone that is devoted to Lord Krishna, Patan Museum and Golden Temple. Then we drive towards the scenic viewpoint of Nagarkot. Nagarkot is a well known destination where one can enjoy a scenic view over wide range of high mountains in a calm and peaceful environment. Early in the morning we will make an easy hike to the hill station for enjoying the magnificent sunrise view. From there our forward journey is made through Bhaktapur. Bhaktapur is one of the well preserved historical attractions in Kathmandu valley with magnificent temples and armies of clay pots left in the sun to dry. Day 02:Full Day Sightseeing tour at Kathmandu. Day 03:Drive to Bandipur and visit around Bandipur. Day 04:Drive to Pokhara and visit around Pokhara. 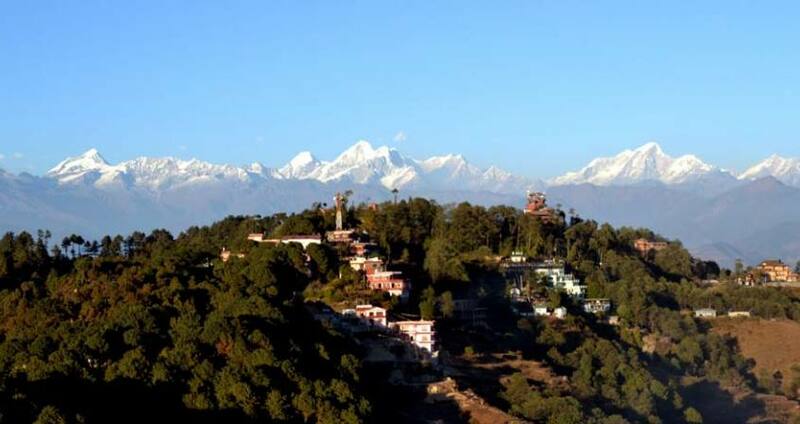 Day 05:Fly back to Kathmandu and Sightseeing at Patan & transfer to hill station of Nagarkot. Day 06:Enjoy sunrise view from Nagarkot & drive to Bhaktapur. Day 07:Sightseeing at Bhaktapur & drive back to Kathmandu. Day 08:Transfer to International Airport for departure. Day 1Arrive at Kathmandu and transfer to HotelArrival in Kathmandu International airport and meet with representative of Pink Mountain Treks and Expedition, then transfer to hotel. Day 2Full Day Sightseeing tour at Kathmandu.After breakfast, proceed to sightseeing tour to heritage sites of Kathmandu. Visit to Boudhanath stupa, Pashupatinath temple, Swayambhunath Stupa and Kathmandu durbar square tour. Day 3Drive to Bandipur and visit around Bandipur.Following morning, we will drive to Bandipur, famous as Queens of the Hills. Roaming around Bandipur like Basantapur hill station and visit to Rampur. Day 4Drive to Pokhara and visit around Pokhara.Next Morning drive to Pokhara, known as city of lakes and second biggest city of Nepal. Pokhara is also known as miror to see the mountains. We will visit to world peace stupa, Gupteshwor cave, bat cavem bindhyabasini temple, Patale Chhango, Taal Barahi temple and excursion on bank's of Fewa Lake. Day 5Fly back to Kathmandu and Sightseeing at Patan & transfer to hill station of Nagarkot.After breakfast we will fly or drive back to Kathmandu then proceed to touring to Patan Durbar Square, widely known for its fine Pagoda styled temples, unique architectures and stone statues. The major attraction includes Keshav Narayan Chowk, Sundari Chowk, Mul Chowk, Patan Museum, Krishna Temple, Golden Temple, Mahabouddha Temple and Golden Window. Our excursion also includes various temples and Buddhist monuments with bronze gateways and exquisite carvings that dates back to many centuries. In the late afternoon, we will drive towards the hill station of Nagarkot for our overnight stay. Day 6Enjoy sunrise view from Nagarkot & drive to Bhaktapur.We start early and reach the viewpoint before the morning light breaks out. Then we will enjoy the beautiful sunrise view over the chains of high snow capped mountains. It truly is an amazing way to experience the Mother Nature with whole Langtang Himalayan Ranges in the background. We will spend some quality time at the view point for getting some pictures for memories. We will spend our day exploring around the beautiful hillside villages and valley. In the evening we will drive towards Bhaktapur for spending our overnight. Day 7Sightseeing at Bhaktapur & drive back to Kathmandu.Bhaktapur is Kathmandu valley's third largest city with well preserved historical monuments and collection of medieval art and architecture. We will spend our day sightseeing around Bhaktapur Durbar Square. Our major attractions in Bhaktapur includes excursion of The 55 Window Palace, Nyatapola Temple, Golden Gate, Lion's Gate and Bhairav Nath Temple. Magnificent temples and sacred landmarks with armies of clay pots left in the sun to dry is how one can describe Bhaktapur. After a full day sightseeing we will drive back to Kathmandu for the overnight stay. Day 8Transfer to International Airport for departure.You will be transfer to airport by representative of Pink Mountain Treks and Expedition for your flight to your destination before three hour of your flight schedule.